After a breakfast of tea and scones on board the canal boat we've rented for a week, we set out on foot this morning to explore the area beside the Oxford canal. After filling our backpacks with things we might need (water, some snacks, a pen, and of course, our phones), we don our baseballs caps, tie up our sneakers, and off we go. As we wind our way through the field, a handmade wooden sign points the way to the walking path, which makes its way through an isolated farm. We're on vacation, and we're doing what we love to do: geocaching. Instead of visiting museums or shopping, we've charged up our phones and are spending the day exploring areas we would never normally find. That's the beauty of geocaching — you'll discover parks, monuments, trails, buildings, and towns that the locals know about but the guidebooks don't. 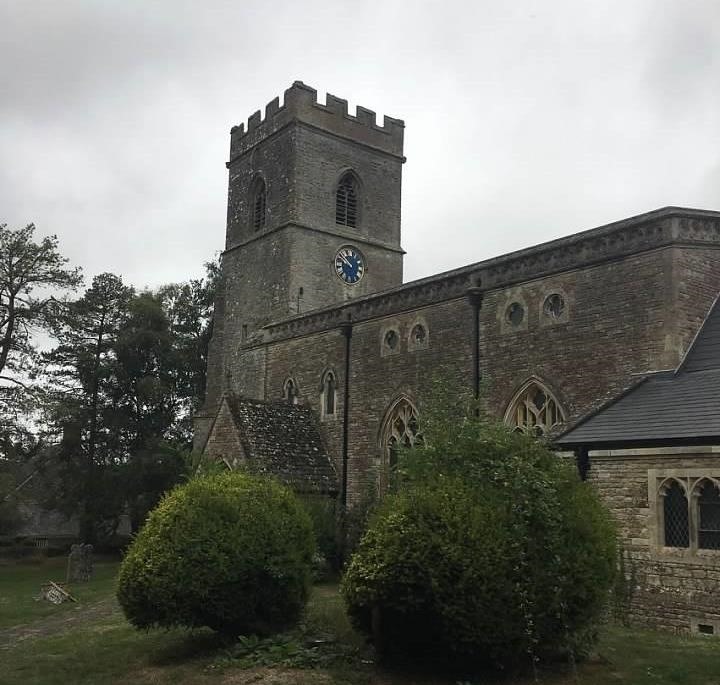 Today, we're headed to a centuries-old church to find a medium-sized cache, something about the size of a small shoebox. We all have iPhones (my husband has a 7, my niece and I each have a 6S, and my son has an SE.) The app we use, Geocaching (Android | iOS), gives us the coordinates of where we need to go, a description of the cache (its size, any pertinent information), and optional hints to help us find it. We walk for about a half mile; the lonely belltower stands out against the blue sky. Coming up to the church, we walk into the yard through a gate in the old iron fence. Centuries-old tombstones surround the little church which, unfortunately, is closed today. We would've loved to have seen the stained glass windows from the inside. No matter, though. We have a cache to find. The GPS leads us to within 20 feet of where it is hidden. Now it's up to us to find out exactly where. It gets quiet as we stop talking and start concentrating on finding anything that looks unusual. My son turns over rocks while my niece looks up and under the fence. I find a long stick and use it to brush aside leaves that have clumped in piles around the grass. My husband walks alongside the church, running his hand against the stone wall. At one point, he bumps up against a stone that isn't flush with the rest. He jiggles it, then slides it out. "Found it!" he shouts. As he pulls out the loose stone, a plastic box is revealed. My niece gets a pen so we can sign the log. My son runs over to see what's inside. There's a shamrock keychain, a mini rubber chicken, and a smiley face magnet. He trades some American coins for the chicken, and my husband marks the cache as "found" in the app. Enthusiasts describe geocaching as the world's largest treasure hunt. Surrounding you at this very moment — no matter which state, country, or continent you're in — there are hidden containers, called caches, just waiting to be found. There are 3.1 million active geocaches in the world. Some are tiny (these are called "micros") at just a few millimeters in size. Others are big, large enough to walk through. No matter the size, they all have one thing in common: a log that you sign when you find it. The micros only contain a tightly scrolled piece of paper that requires nimble fingers to unroll. The larger caches contain notebooks and pencils along with toys or trinkets called "geoswag." All of this excitement wouldn't be possible without the technology of GPS. It's hard to remember what life was like before GPS now that it's available at our fingertips through our cars and phones. But before 2000, the US military kept GPS close to the vest by intentionally degrading the signal to discourage civilian use. However, things changed in May 2000 when the government ended this "Selective Availability" and essentially made GPS a public commodity. At the time, no one could have guessed that this availability would lead to a game of global treasure hunt. However, some forward-thinking people decided to test out the new navigational tools by placing objects in the woods and listing the coordinates on the internet. In September of that year, three friends founded the company Groundspeak Inc. (doing business as Geocaching HQ). Travel writer Selena Hoy, who has been an avid geocacher since 2008, remembers her first geocaching trip, in Guam, using a GPS device. "Back then, you couldn't do it on your phone," she said. "It was totally different. You had to choose which caches you wanted, plan out a route, input coordinates into your GPS … it was a much more intentional activity." Chris Ronan, Community Relations Manager for Geocaching HQ and active cacher himself who has found caches in all 50 states and 14 countries, explained that, initially, GPS devices could be quite expensive, thus limiting the number of people who participated. As GPS use and smartphone ownership expanded, the hobby took off, and cache numbers began to grow exponentially. In the first week of the launch of the Geocaching app, there were 75 caches listed. In 2018, there were 71,602,898 worldwide "Found It" logs posted on Geocaching.com, and enthusiasts attended more than 43,000 geocaching events worldwide. 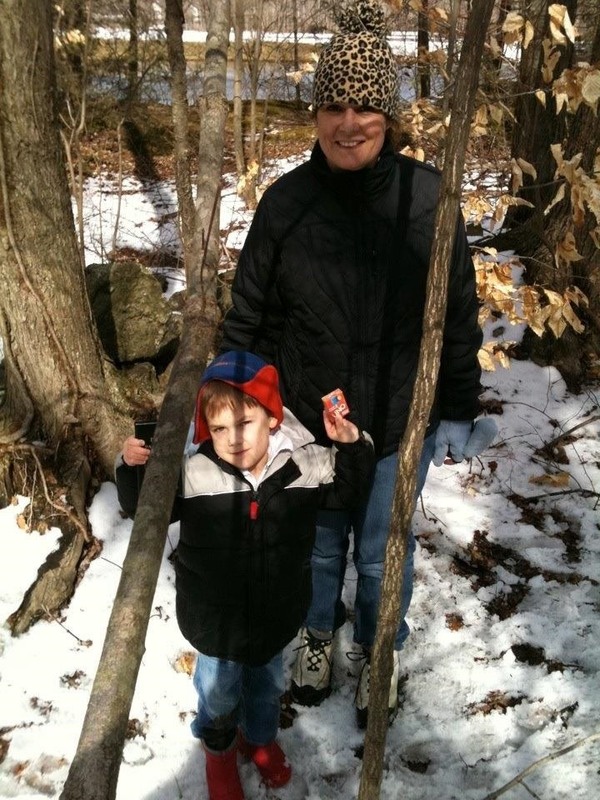 I didn't discover geocaching until 2010 when I came across an article in a parenting magazine. When a friend mentioned trying it with her kids, I knew I had to check it out. I downloaded the Geocaching app to my phone and was surprised to find there were about a dozen caches in my town. Having GPS built into my phone made it easy to dive into the hobby. Due to the creation of apps and the widespread addition of GPS to smartphones, geocaching is an affordable, easily accessible hobby. The most popular app, Geocaching, by Groundspeak, is available for Android and iOS with both free and premium paid versions. With the paid version ($9.99 for three months or $29.99 for one year), you can find Premium Member-Only caches, use offline maps, make lists, and award favorite points to the best caches. A similar app, Cachly, is only available for iOS and has a one-time fee of $4.99. With this app, you can save caches to offline lists, translate hints and logs from any language, and choose from different map types. Either app will tell you which caches are near you and navigate you to them. As one might expect, the geocaching community is huge and online forums are a great place to get information, share stories, and ask questions. Beginners would do well to start off by reading through the Geocaching website, where you'll learn how to navigate to a cache and what to do when you find it. On the Geocaching forum, topics range from places to go to technology talk. Beginners can find help, and seasoned cachers can discuss their finds. Of course, Reddit's Geocaching forum hosts all sorts of discussions and a lot of pictures, and there are countless YouTube videos from cachers around the world. When the weather doesn't cooperate, it's easy to become an armchair geocacher and read or watch all about other people's travels. Naturally, there are certain rules to follow when caching. You should always procure permission from the landowner before placing a cache, so seekers should never be on private property unless it specifically says so in the description. Local laws apply, of course, and seekers need to follow common sense. If the terrain feels dangerous or uncomfortable, it's best to move on to another cache. It's particularly important to be aware of your surroundings while caching on vacation. The last thing you want is to get lost. As with any new hobby, there's bound to be a learning curve in the beginning. Our first few attempts had us walking in circles, tromping through muddy paths and trying to look inconspicuous in public places. One cache, located in a grocery store parking lot, was frustrating to us as newbies. After looking high and low for nearly half an hour, my son was getting tired and cranky. We were about to log it as a "DNF" (Did Not Find) when I thought to push on a metal electrical cover plate. It turned out to be a decoy and the cache was hidden inside. Now, with over 400 caches under our belts, we have a better idea of what to look for when searching. It just takes a little practice to train your eye to look for things that seem out of place. Susie Henderson, her husband (a high school geography teacher), and their two sons, now aged 10 and 8, first tried geocaching while camping in Vancouver Island. The Parks Canada Visitors Centre on Wickaninnish Beach rented out GPS devices free of charge. "I wouldn't say it was an overwhelming success," she said. "We tried searching for the first geocache, which was pretty close to the visitor center, to no avail. We ended up going round and round in circles and couldn't find it anywhere." She didn't let that deter them, though. Since then, they've geocached on other vacations, and her husband has taken his students geocaching. If you want to plan a geocaching vacation, you have a lot of options. You can do it in cities, in the country, even scuba diving or climbing mountains. For my 40th birthday, we planned a geocaching trip to New York City where we zig-zagged up and down Manhattan looking for mostly micro caches. Every Thanksgiving when we travel to Maine to visit family, we build in extra travel time so we can stop along the way to find caches. We've found caches in all the New England states and as far west as Arizona. Of course, we don't hold a candle to others who have traveled around the world looking for treasures. Matthew Gillard, who hails from England but is currently living in Bahrain, has cached in 15 countries. "Geocaching has taken me to some amazing places on holiday that I wouldn't have visited if a cache wasn't there," he said. Gillard currently uses a Garmin 62 Map and a Galaxy Note 5. "In India, we discovered an amazing historic fort which we would have missed. Whilst caching in Australia, we discovered some beautiful places with amazing geology. In France, we discovered a really old chapel in the middle of nowhere only because a cache was nearby." And, he notes, there's an added bonus to discovering a cache. "The written logs left behind by other cachers can act like a mini travel guide." For example, a recommendation for a restaurant logged in a cache in Chiangmai, Thailand, resulted in the best meal he'd ever had on holiday. My family and I had a similar experience. One geocache log in England, hidden in an old-fashioned red telephone booth, had an entry which recommended a nearby pub. We took the suggestion and had dinner there that night. Hoy agrees that geocaching is a great activity to incorporate into vacations. 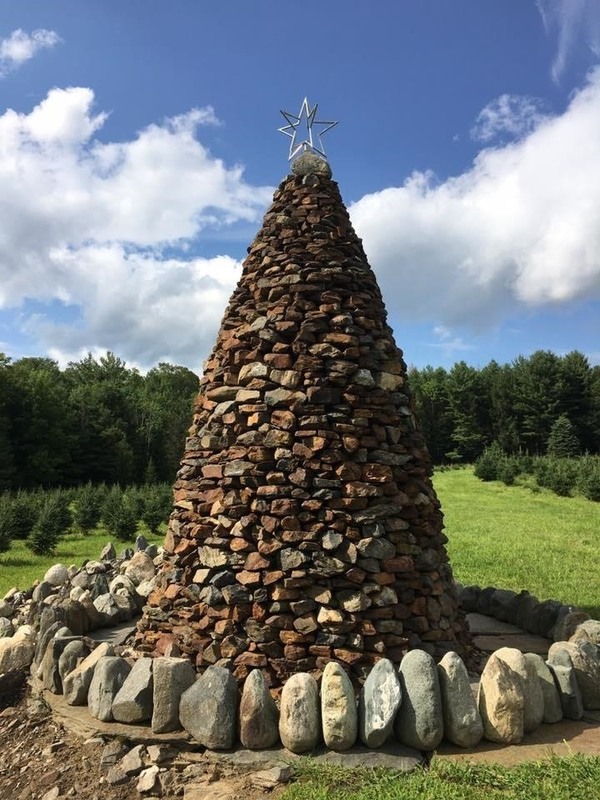 "Geocaches are often placed by locals who know a lot about the history and significance of local monuments, far more than what you would find in a guide book or travel article. I love that geocaching shows me unexpected small and beautiful places, that it connects me with locals, and I love the CITO ethos of geocaching, which means 'Cache In, Trash Out,' with the aim to leave a place always cleaner and better than we found it." It's also important to check the terrain of a cache, as Gillard reports. While in Thailand, he got up early one morning while everyone slept and went to find a cache. He had to climb up an 80-foot rock face, which he said was easy. "Getting down, however, proved to be more difficult, as I was wearing flip-flops and couldn't see where I was placing my feet. I genuinely thought that I might fall off onto the rocks below," he said. Fortunately, he arrived back without incident, but there are always safety concerns to consider. Whether dealing with muddy trails or side-of-the-road guardrail caches, it's important to be aware of your surroundings and take precautions. It's not a bad idea to take along a small first aid kit, along with water, sunscreen, bug spray, and snacks. Paul Frizzell from Illinois has an astonishing 22,731 finds under his belt, all found in the US (he's found caches in all 50 states) and three Canadian provinces. He often travels with several different GPS options. He currently favors a Garmin Oregon 450 GPS and an iPhone 5S. The self-described "geography and map nut" said two of his most memorable and adventurous finds were the first caches placed in both Hawaii and Alaska. "Hawaii involved bushwhacking through a jungle, hiking back to the car in the dark, and dealing with wild pigs," he said. "Alaska had almost continuous rain, bears, and a very unexpected encounter with fellow finders." Not every cache has to be so adventurous. Guard rail caches are very popular and are just what they sound like — caches hidden on the side of the road in the guard rail. You can find magnetic micros on the back of street signs. 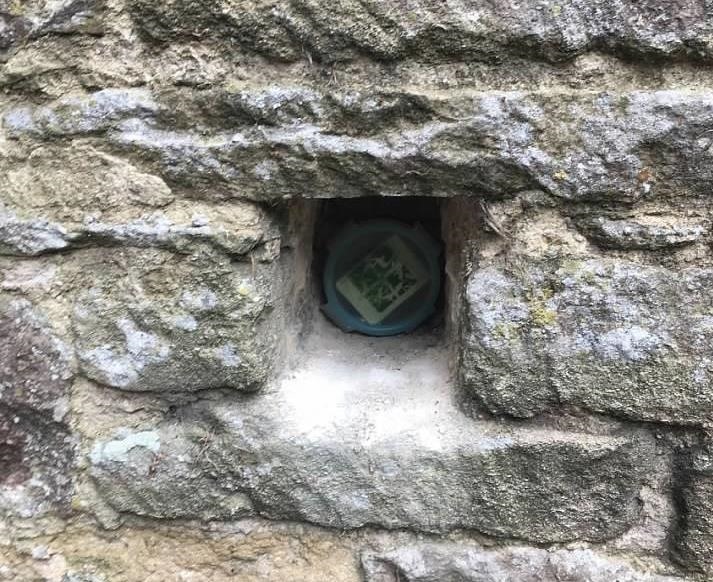 They aren't the most exciting caches, but then other times, you'll find a cache where the container is unusual, like a piano in the middle of the woods, a hollowed out book on a library bookshelf, or a birdhouse hanging in a tree. Some people don't care about the contents of the cache; they're just in it to claim another find. But others, especially children, like the excitement of seeing what's in the box. Geoswag can include buttons, magnets, keychains, and plastic animals. A big complaint among cachers, however, is when the boxes get filled with junk — random plastic "toys" that no one would want and things that get rusty or waterlogged. But often, the contents can be exciting. Some cachers have wooden nickels made with their team names on them and these become collectibles. My son was thrilled to find his first Pokémon card in a cache. Another time, a crisp one dollar bill made for a true treasure. At a rest stop in New Hampshire, we found a cache with a trackable — a keychain or a coin with a code on it that is meant to be moved from cache to cache so participants can watch its progress around the world. My son wanted to keep it (in this case, it was a dog tag), but we explained that we had to move it to another cache for someone else to find. We then were able to track its progress across the country on Geocaching.com. 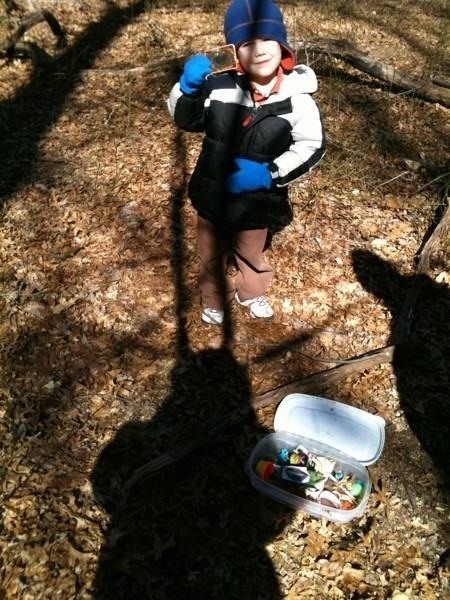 When we first started geocaching, my son was five years old. He was easily impressed when we found a box hidden under a pile of rocks in the woods, and he loved picking out a trinket to add to his collection. Now he's 12, and his focus has shifted to managing the technology and leading the way on our adventures. In England, he directed us to a geocache hidden in a community garden and another in a college courtyard in Oxford. We would never have seen these beautiful places if we hadn't been geocaching. Through our experiences, we've learned that it's easy to go on vacation with a plan and a guidebook in hand, but it's even more exciting and spontaneous to build a holiday around geocaching. With a phone, an app, and a sense of adventure, geocaching can take you to places that only the locals know. This summer, we'll explore Rhode Island and Florida, and perhaps we'll get a chance to find some caches in Canada. In the end, though, it doesn't matter where we go or what we find; caching ensures that we'll get off the beaten path and we'll have spontaneous adventures with the people we love.